So far, Seheiah has only been installed and tested in two households. The tests showed that a regular daily schedule is the most important factor for reliably detecting falls and that you need to experiment with the threshold values (Figures 5-7). 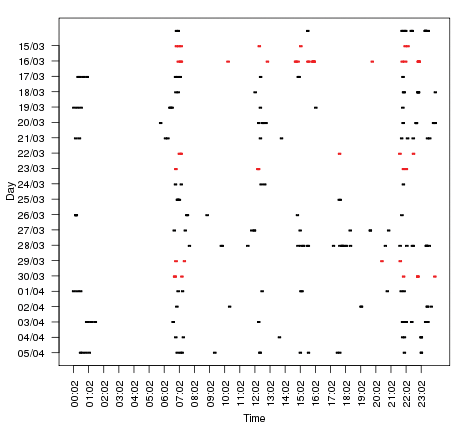 Figure 5: Visualization of the tuple in the database stored in five-minute intervals. Figure 6: On half of the weekends, the senior was on the road, without saying "bye bye." 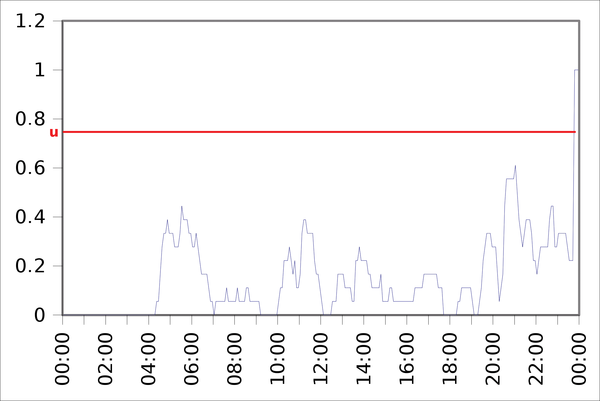 The probability of a fall being detected is only guaranteed in the early morning, late evening, or at night. Figure 7: On a weekday, a whole day might pass in the worst case before the subject is detected. In this case, the intervals and threshold values need some serious adjustment. Falls are detected promptly if they occur immediately before a regularly recurring event (e.g., a regular nightly visit to the bathroom) or if they are accompanied by unusually high water consumption (e.g., a slip in the shower). If a senior falls when leaving the shower or at night when returning from the bathroom to the bed, it could take several hours in the worst case before Seheiah detected the fall. This situation does not help to prevent a "long lie." In the best case, the victim is still conscious, still has a clear voice and clear pronunciation, and can instruct Seheiah to send a call for help.